Tell your friends about our upcoming event. 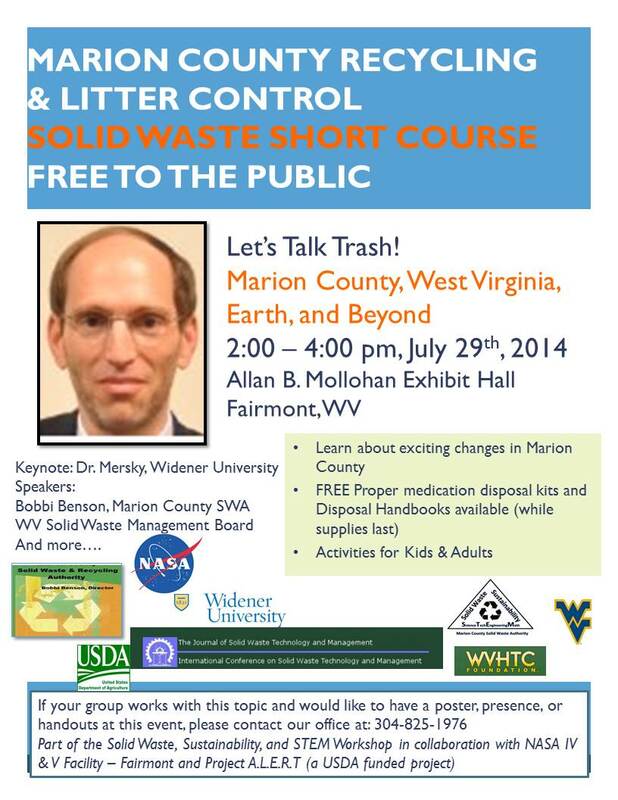 Paul Hayes, Recycling Coalition of WV:. 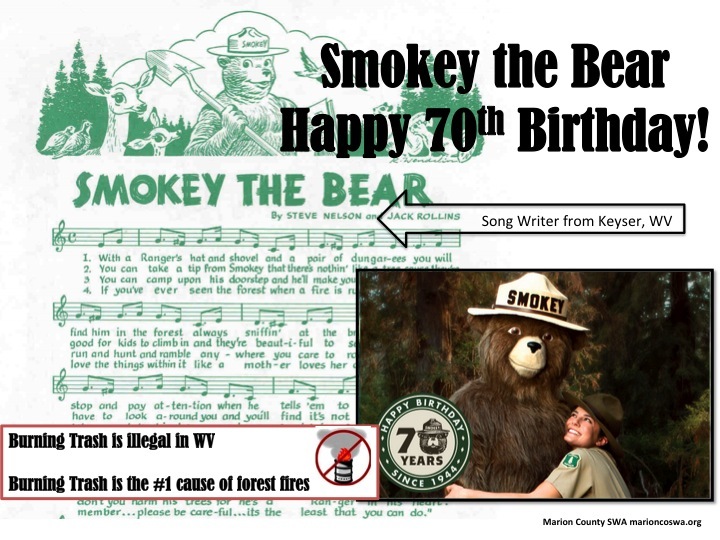 FREE recycling curriculum and events created with the WV Dept. of Ed. We are proud to be able to hold this event with the assistance of many volunteers. 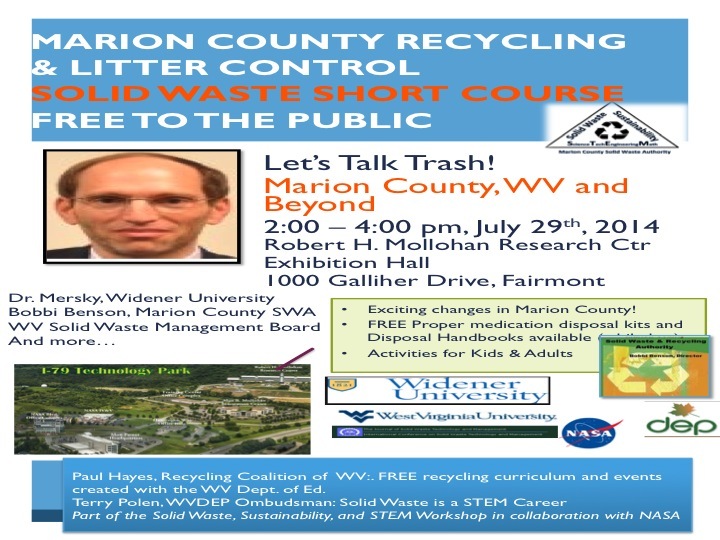 Come find out what is new in Marion County, tell us about what you are doing, and learn about how solid waste works from your door and back again. 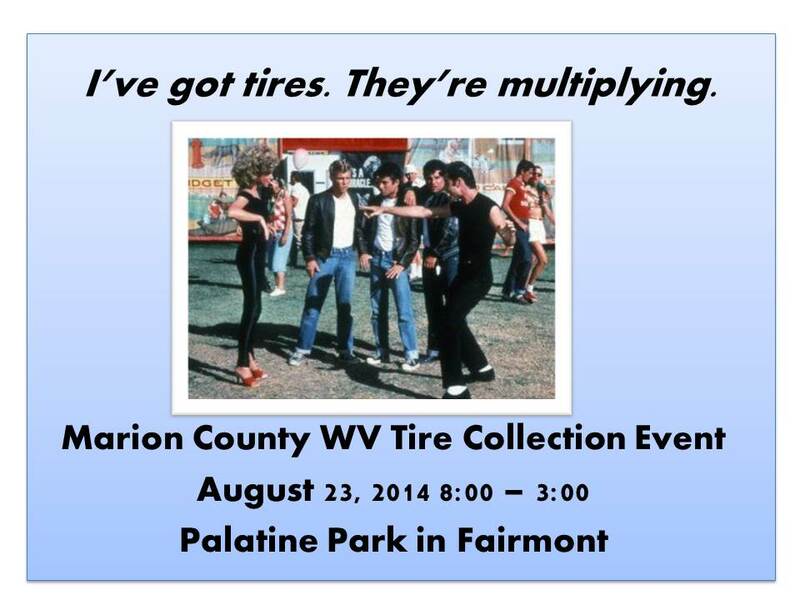 Start collecting your tires for this upcoming event. 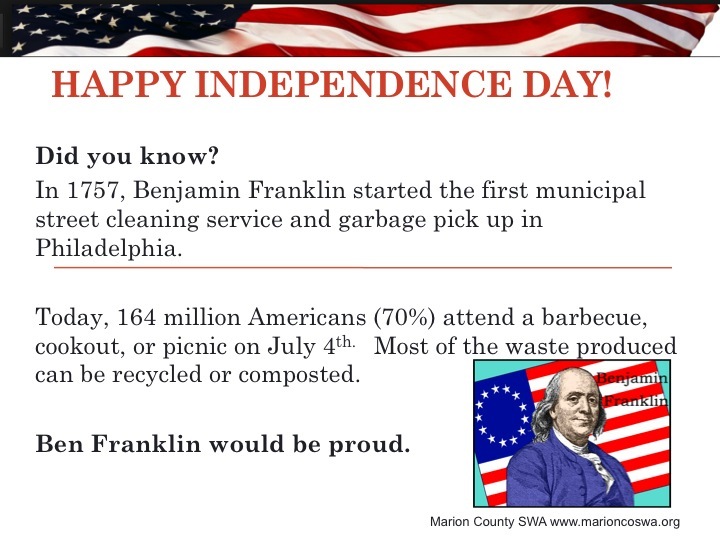 If you are planning to do any clean-ups before the event, let us know. 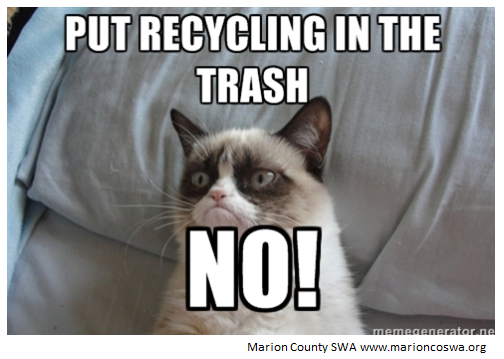 Thank you for making Marion County a great place to live! East Fairmont Junior and Senior High School is using a creative way to recycle its old building materials to raise funds. The school is using wood from the demolition of the old school to make pens. The wood comes from the handrails at the main entrance and the maple flooring. The school will sell the pens to continue supporting the school. “It is a part of their alma mater. Part, if not all, of the funds will be expanded as we build some memorabilia of the old campus here on the new campus,” said David Nuzum, EFJHS Principal. The school will also be selling bricks to alumni.